In the upcoming run-off of the Ukrainian presidential election, political newcomer is set to win, an opinion poll showed on Thursday. 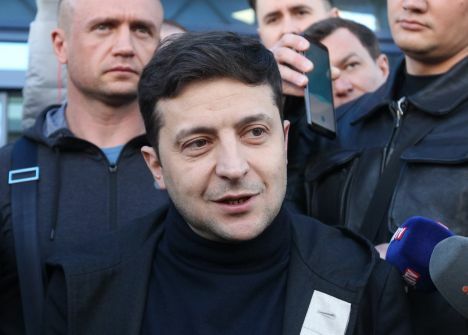 Canadian-British news agency Reuters reports that the poll by Ukrainian pollster Reiting, the first survey for the election’s second round, showed Zelenskiy would receive 61 percent of votes. His rival, the incumbent Petro Poroshenko, previously a confectionery magnate, was predicted to receive 24 percent in the second round of the election to take place on April 21.